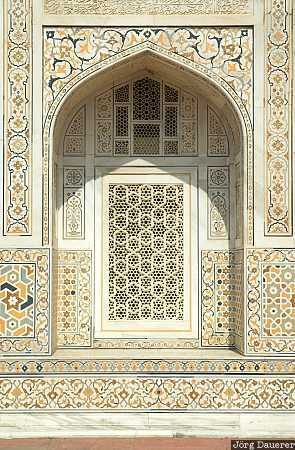 A window of Itimat-ud-Daula, a tomb made of marble in Agra, Uttar Pradesh, India. This photo was taken in the morning of a sunny day in August 2006. This photo is part of the exhibition Windows (February 2007). This photo was taken with a digital camera.